It is with sincere sadness that I leave Daniel Island Animal Hospital to pursue a full time career in exotic animal medicine. I am leaving one of the very best veterinary practices I have ever had the good luck to be associated with, and some of the most dedicated and wonderful clients and their pets. This was a difficult decision for me, but ultimately I decided it would be better to focus on one thing rather than always being torn between the two. I wish everyone the best and thank you all for your support and trust over the years. It is with deep mixed emotion that I announce my departure from DIAH. I am so grateful for the past 7 years I have had at this amazing hospital. 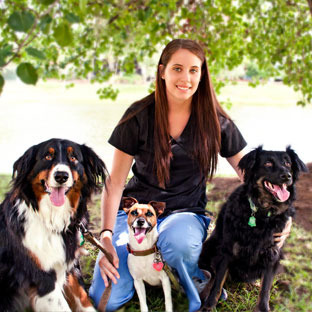 Thank you for allowing me to be a part of your family and entrusting me to care for your precious pets. I will miss all of you deeply and it saddens me to have to say goodbye. The smiles and the tears we have shared together over your pets will forever be in my heart! Being a veterinarian is definitely a rewarding career but it is one that can take a toll emotionally and as much as I hate to admit, it has taken a toll. My plans for now are to take care of the emotional well being of myself and my family. I promise that in my absence, you and your pets will be in the most caring and capable hands of our awesome veterinarians and support staff! My last day at the hospital will be Saturday July 12th so please come by and say goodbye if you can! 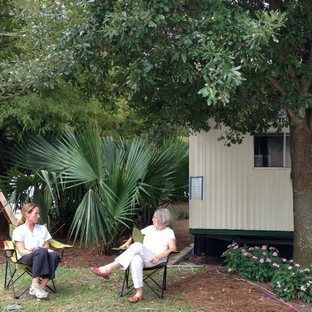 When the Flood family moved to Daniel Island in 1998, it was a sleepy collection of homes in the middle of nowhere. The town existed only as a concept on paper. To get to our home, we exited the interstate and drove miles on a winding, two-lane road, across a creek, through woods, meadows and corn fields, to reach what would become a town someday - we hoped. A nostalgic town, with neighborhood parks, churches, schools, sidewalks, front porches, bike paths and pedestrians appealed to us as a place we might want to stay. 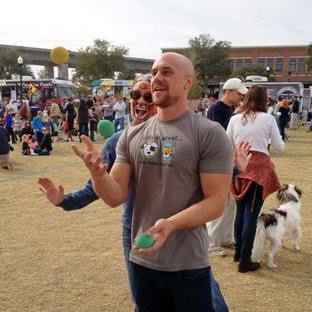 For several years, we watched as homes were built in park-centered neighborhoods as promised. Our boys rode the school bus to a county school across the river, and played on recreation teams from other towns. We drove across the river to go to church, shop or eat out. Eventually, a bank, a general store and a gas station were opened and the Department of Transportation created an interstate exit for Daniel Island. Our town center started to grow. As we watched the progress, I realized the town would need a veterinarian, and I started to look into opening a hospital of my own. 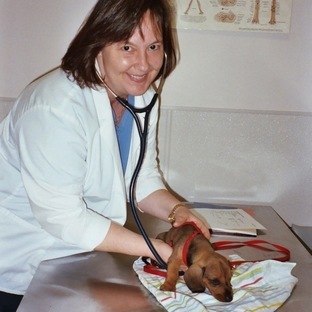 I had worked as an associate veterinarian in six different veterinary practices in four different states as my husband's army career moved us around. All that experience contributed to my idea of an ideal animal hospital, so I sketched out a floor plan and hired an architect to turn that sketch into drawings which could be approved by the Daniel Island Architecture Review Board and the City of Charleston. I worked with a builder to turn those drawings into reality, and a licensed veterinary technician I trusted helped me order equipment and supplies, choose a practice management software program, and develop a schedule. For months Missy Baldwin and I worked to make our dream a reality. 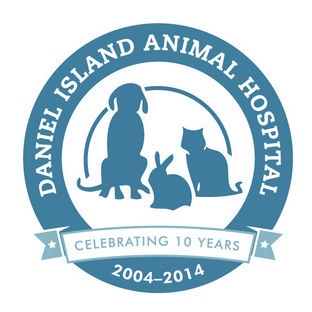 In January of 2004, we opened Daniel Island Animal Hospital; not a particularly original name but I liked the idea of being an old-fashioned "town doc" and we wanted to emphasize the island town location. We anticipated being slow at first, waiting for people to discover us, but the day we opened, and for days afterward, we had trouble getting any work done while the telephone rang constantly! Ten years later, we have grown from a one doctor, one technician practice to a team of seventeen. 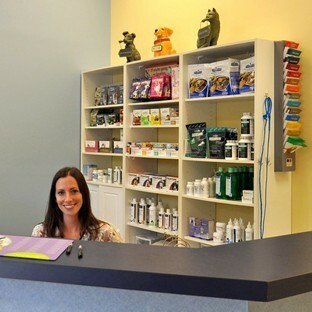 We now employ five veterinarians, four licensed veterinary technicians, a practice manager, receptionists, assistants, and administrative personnel; and last year we added 1250 square feet to the original facility! 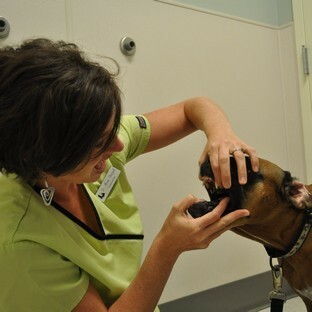 Our hospital also houses Island Dog Cuts by Teri, an independent grooming salon established in 2007. 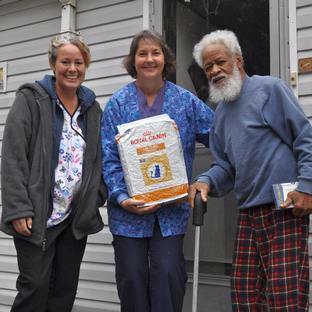 In 2013, we founded DIAH on Wheels, a non-profit organization offering pet food and veterinary care to needy, homebound seniors in Berkeley County. 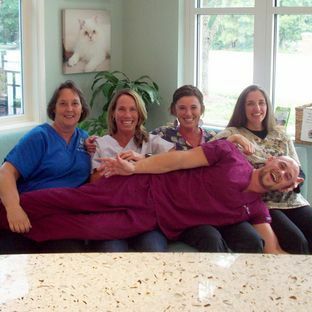 For ten years, Daniel Island Animal Hospital has been blessed to help this community of animal lovers care for their pets as members of the family. Our goal is to treat each pet as if they were our own, and we strive to work with pet owners as we would our personal family and friends. 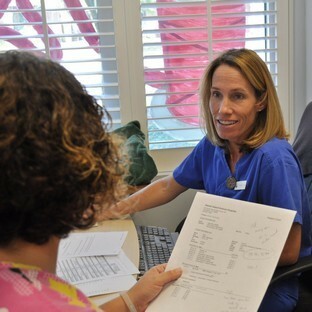 We make recommendations based upon best medicine and we continually educate ourselves to stay current. 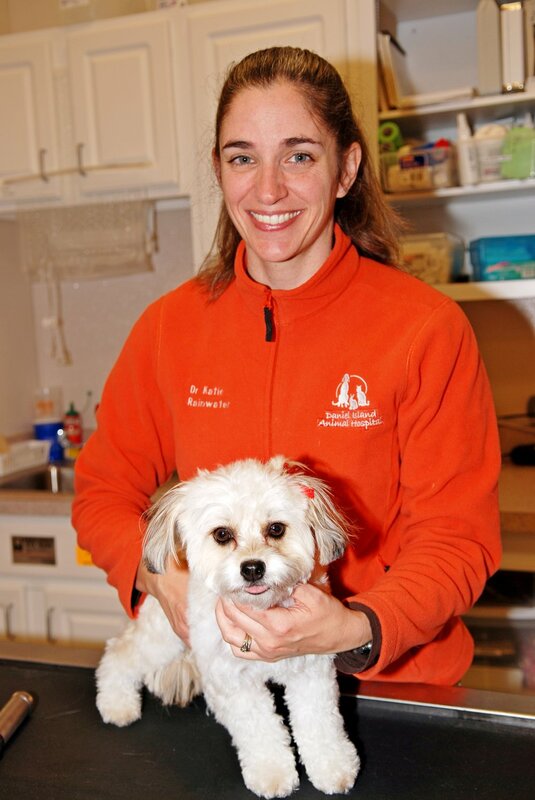 Though veterinary medicine is how we make a living, we practice a calling in our love for pets and pet owners. We strive to be good neighbors to our clients because we honestly like what we do and we respect the pet owners with whom we work. I hope these priorities are communicated to you each and every time you call us on the telephone or enter our hospital. 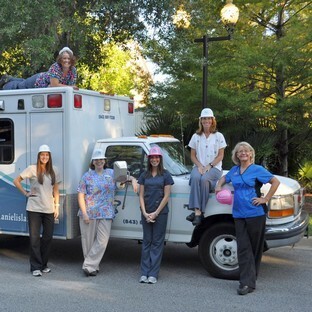 Thanks to the support and commitment of our team, clients, vendors, and community, our hospital is celebrating 10 years of business on Daniel Island. 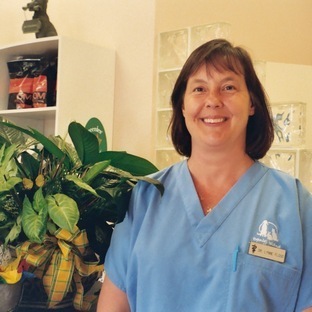 We look forward to growing and thriving within our island town for many years to come, sharing in the joys of caring for your furry, four-legged family members. 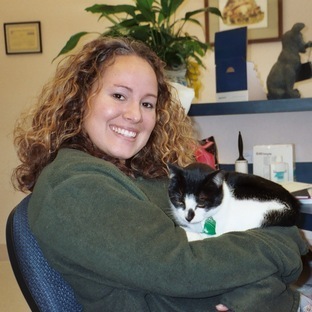 We are celebrating all of our technicians and assistants this week for National Veterinary Technician Week! Last year, I wrote an article about the credentials and skills our LVTs possess. This year, I'd like to focus on the other half of our patient care support team, our amazing assistants! 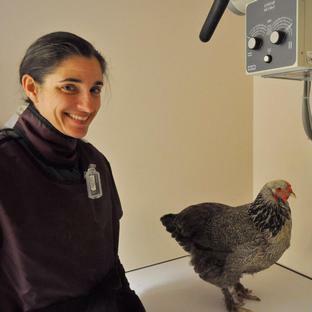 In our hospital, a technician's assistant's primary role is to keep the day running smoothly by helping our veterinarians and technicians wherever needed. You'll often find our assistants checking in appointments, restraining patients, preparing lab samples and vaccinations, and keeping our hospital ship-shape! We're also honoring our hard-working groomer's assistants this week. These ladies pamper the dogs and cats visiting Teri for their spa day by helping with walking, bathing, brushing, drying, trimming nails, and cleaning ears. They also are in charge of keeping the groom room tidy and tackling all that pet hair! A big thanks to all of our assistants - Erin, Mary, Vyonne, and Michelle - we couldn't do it without you! 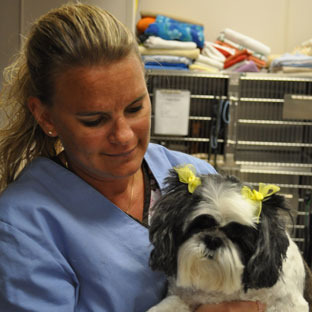 Next week (October 10-16th) is National Veterinary Technician Week! We are looking forward to our in-clinic celebrations and are taking this opportunity to explain who technicians are and what they do. In cooperation with our doctors, assistants, receptionists, and manager, our compassionate and knowledgeable technicians help keep patient care and client service standards top-notch. 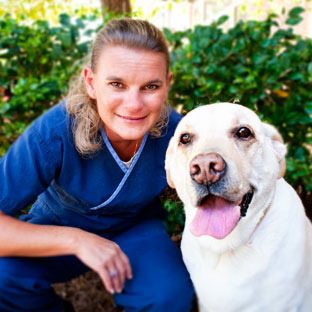 We strive to make your trip to our hospital a positive experience for pets and people alike! Thank you Missy, Bethany, Jen, and Mara - you guys ROCK! Happy Vet Tech Week!